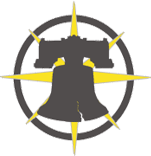 The Pennsylvania Immigration and Citizenship Coalition (PICC) is a non-partisan, diverse coalition of over 50 member organizations and hundreds of individual supporters. Our membership includes community groups, social, health and legal service providers, advocacy organizations, labor unions, faith communities, immigrant community members and concerned individuals. PICC plays a unique role as the only organization in Pennsylvania that brings together organizations and individuals representing different ethnicities, immigration statuses, faiths, and other backgrounds, to work collectively on immigrant rights in Pennsylvania. For questions on membership, please contact Sundrop Carter, PICC Executive Director, at sundropcarter@paimmigrant.org or 215-832-0616. Organizational membership dues are based on the size of the organization’s annual operating budget. You are welcome to pay via check, sent to PICC, 2100 Arch St., 4th Floor, Philadelphia PA 19103, or pay online. If membership dues are a barrier, we welcome potential members to contact PICC to discuss alternatives. Please contact Sundrop Carter, PICC Executive Director, at sundropcarter@paimmigrant.org or 215-832-0616.